BBC launches interactive radio story for Amazon Alexa and Google Assistant speakers | What Hi-Fi? From today, owners of Alexa-powered speakers can interact with the radio drama using their voice. Support for Google Assistant-controlled speakers is coming soon. If you’re the type of person who enjoys the ‘Choose Your Own Adventure’ books, or watches the alternative endings in a Blu-ray’s extras, you could well be interested in BBC's new project. 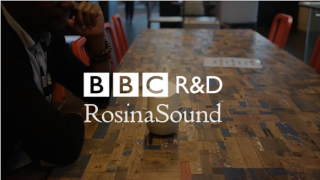 The BBC’s R&D team has collaborated with audio company Rosina Sound to make an interactive comedy/sci-fi drama that will enable listeners with an Amazon Alexa or Google Assistant smart speaker to play an active part in the storyline. For the time being, the BBC is calling it 'conversational radio'. The concept for the pilot – titled 'The Inspection Chamber' – was inspired by computer games such as The Stanley Parable and Papa Sangre, as well as authors like Franz Kafka and Douglas Adams, and is the first of its kind to offer interaction through a voice-assistant platform. “We know that people find talking to a machine compelling and useful, and they also like interacting with a story" said producer Henry Cooke on BBC Taster. "If these two things come together, it opens up a whole range of creative possibilities for the BBC and other content makers." The BBC has built two tools - a graphical story editor, which lays out the story and interaction points and maps out the connections between them, and a story server, which takes the 'map' from the editor and keeps track of where users are in the story, via Alexa or Home. The pilot show will be available on Amazon Alexa speakers, including the Amazon Echo, from today, with support for Google Assistant-powered speakers (such as the Google Home) to follow. The smart speakers category has exploded over recent months - as their dominant presence at IFA 2017 showed - so the fact that BBC has built a "story engine" that allows it to release the same story across various voice platforms means that early adopters of Apple’s HomePod or Microsoft Cortana-enabled speakers could also get in on the action. However, for now at least, 'conversational radio' is all systems go.